creative landscaping. Originally developed for drought-afflicted areas, the principles of xeriscape today have an ever broadening appeal. With water now considered an expensive and limited resource, all landscaping projects, residential or commercial, can benefit from this alternative. Xeriscapes do not have a single look - almost any landscaping style can be achieved. 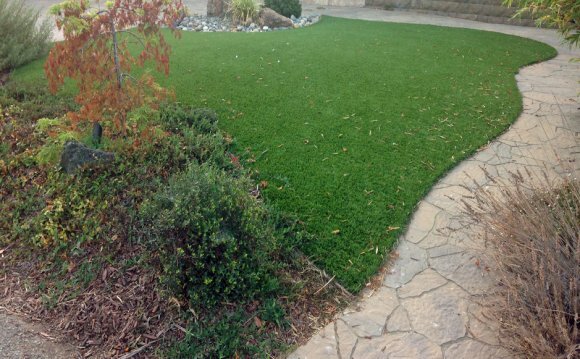 The principles can be applied to all or part of a yard, in any geographic region of North America. Xeriscape Benefits Saves Water. For most of North America, over 50% of residential water used is applied to landscape and lawns. Xeriscape can reduce landscape water use by 50 - 75%. Less Maintenance. Aside from occasional pruning and weeding, maintenance is minimal. Watering requirements are low, and can be met with simple irrigation systems. No Fertilizers or Pesticides. Using plants native to your area will eliminate the need for chemical supplements. Sufficient nutrients are provided by healthy organic soil. Improves Property Value.A good Xeriscape can raise property values which more than offset the cost of installation. Protect your landscaping investment by drought-proofing it. Pollution Free. Fossil fuel consumption from gas mowers is minimized or eliminated with minimal turf areas. Small turf areas can be maintained with a reel mower.